LOOKING TO COOL DOWN those blistering hot flashes naturally? You may want to sprinkle some ground flaxseed on your cereal, toss some in your smoothie or grab a flaxseed muffin. Just a little over 1 ounce/day may tame those troubling transient temperature rises. The best news yet, Flaxseeds have a wonderful, nutty taste. In fact, Dr. Hyman has several delicious recipes in his book UltraMetabolism that includes them as a healthy, nutritious ingredient. Although until recently hormone replacement therapy was the most commonly prescribed treatment for hot flashes, unwanted side effects have led to the search for nonhormonal solutions. Several effective nonhormonal drug therapies have been identified, but they are not always effective, and not all women can use them because of side effects. These limitations have led researchers to explore non-drug agents. They have studied a variety of herbal and dietary supplements in randomized, placebo-controlled trials, including vitamin E, black cohosh and soy, but none has shown to produce any significant reduction in frequency or severity of hot flashes. The 29 participants in Mayo’s clinical trial were women with bothersome hot flashes who did not want to take estrogen because of a perceived increased risk of breast cancer. They also had not received (in the preceding four weeks) antineoplastic chemotherapy, androgens, hormonal agents, or other herbal supplements, including soy. Some patients did not complete the trial, but full data for six weeks of flaxseed therapy, consisting of 40 grams of crushed flaxseed ingested daily, was obtained from 21 of them. Participants were asked questions that the researchers translated into a hot flash score — a combined measure of frequency and severity. The frequency of hot flashes decreased 50 percent over six weeks, and the overall hot flash score decreased an average 57 percent for the women who completed the trial. Participants also reported improvements in mood, joint or muscle pain, chills and sweating; which significantly improved their health-related quality of life. Dr. Pruthi’s team chose to research flaxseed because it is a phytoestrogen (plant-based estrogen source). Flaxseed contains lignans and omega-3 fatty acids. Lignans are antioxidants with weak estrogen-emulating characteristics, and have some anti-cancer effects. 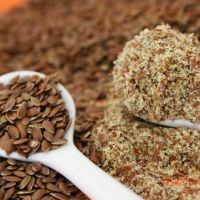 Flaxseed also appears to have anti-estrogen properties and has been shown in some recent research trials to decrease breast cancer risk. The researchers hypothesized that patients taking flaxseed might gain some relief for hot flashes. This pilot trial was designed to determine the effectiveness of flaxseed in alleviating hot flashes and identify possible side effects. Dr. Pruthi cautions that the results are preliminary and taking flaxseed may not give relief to every woman suffering hot flashes. Dr. Pruthi’s research team hopes to open a new, larger clinical trial evaluating flaxseed against a placebo to better refine the results, and to hopefully confirm flaxseed as a new treatment option for hot flashes in women. 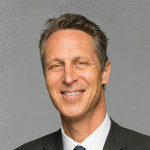 Other Mayo Clinic researchers included Charles Loprinzi, M.D. ; Susan Thompson; Paul Novotny; Debra Barton, Ph.D.; Lisa Kottschade; Angelina Tan; and Jeff Sloan, Ph.D. The flaxseed study was supported in part by the Susan G. Komen Breast Cancer Foundation. More information on clinical trials is available at Mayo Clinic.